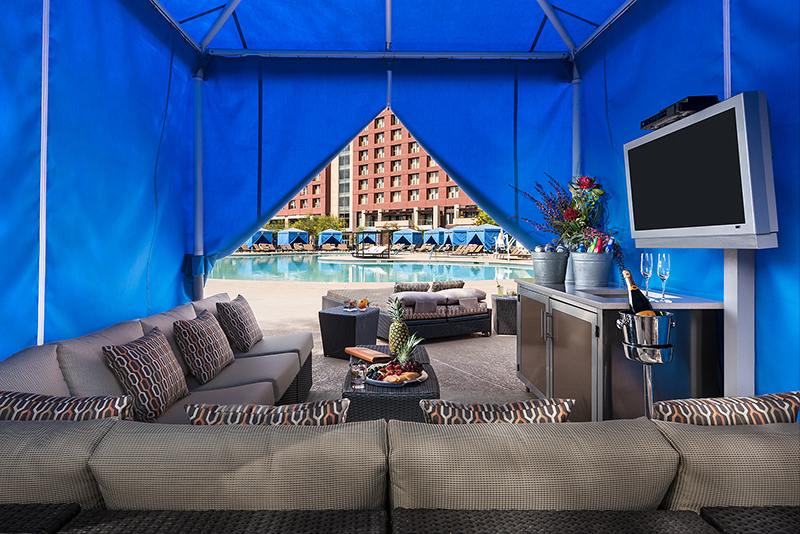 For the ultimate in poolside luxury, the VIP cabana is furnished with casual seating, daybed, ceiling fan, misting system, 32” LCD Hi-Def television and a personal refrigerator stocked with assorted nonalcoholic beverages. Cabana occupancy is limited to 10 people. For a relaxing experience, layout in one of our spacious daybeds and catch some rays. Each king size bed comes with a reclining back, draped sides and an end table. Day bed occupancy is limited to 4 people. Release pool parties are open Saturdays all summer and will be open for Holiday weekends and special event Sundays. Hours are from 1pm - 7pm. 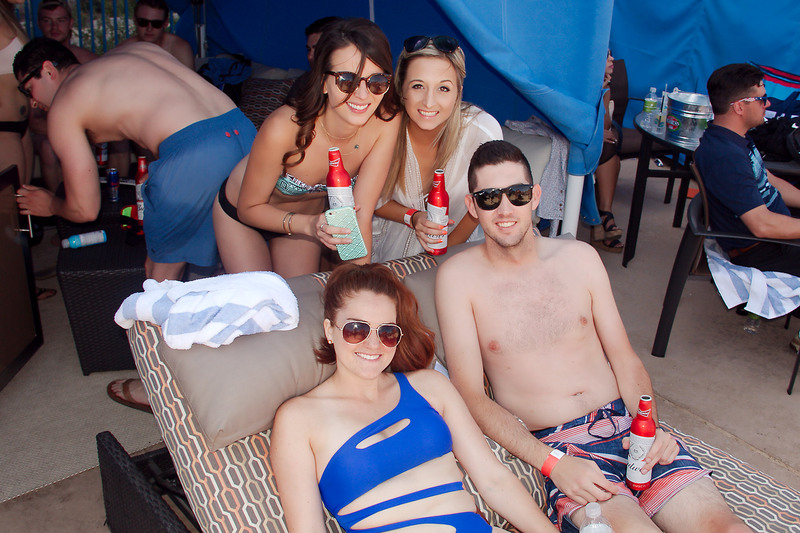 To reserve cabanas and daybeds, please call the main reservations line at 1 (866) 877-9897. Upgrade your cabana for the ultimate party package! Full cabana decorations themed for your special occasion (Bachelorette/Bachelor or Birthday Party! ).